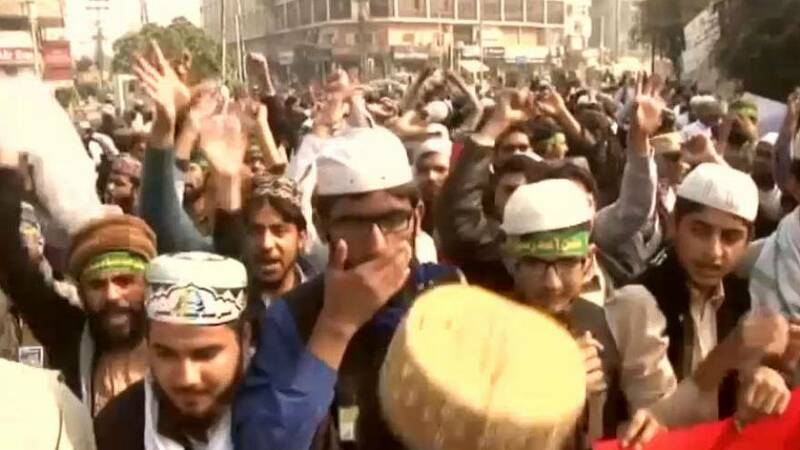 Islamist protesters in Pakistan who clashed with police over the weekend have called off a planned national demonstration. It follows the resignation of Law Minister, Zahid Hamid. Seven people were killed and 200 wounded when police tried to disperse the protesters on Saturday, sparking demonstrations in several major cities. Members of the Tehreek-i-Labaik Ya Rasool Allah Party have been demanding that Mr Hamid be sacked, accusing him of blasphemy after he omitted a reference to the Prophet Mohammed in a revised version of the electoral oath. Mr Hamid apologised and said it was an error. Protests had been taking place for several weeks in major cities including Islamabad, Lahore, Peshawar and Karachi. On Saturday the government blocked some social media sites and suspended private television news channels.